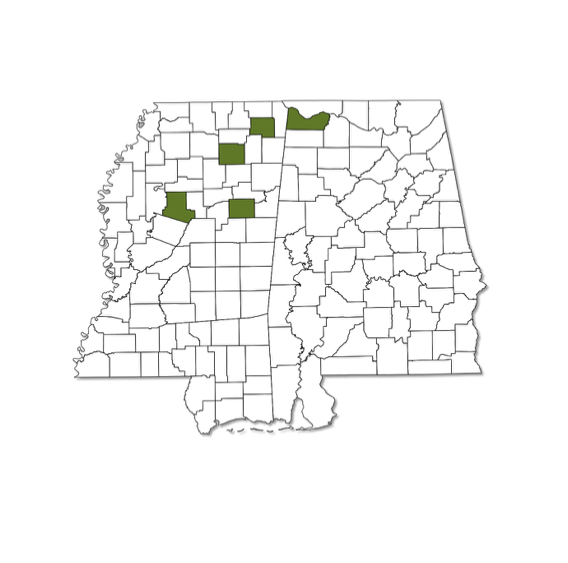 Known from only one county in Alabama and four counties in Mississippi, all of which are in the northern half of the two states. Often found along streams. A small, dark roadside-skipper with lightly checkered fringes on both fore and hindwings. The lower surface of the forewing has three white spots near the wing margin that form a line (but not triangular in shape). Usually with additional light markings on underside of wings.